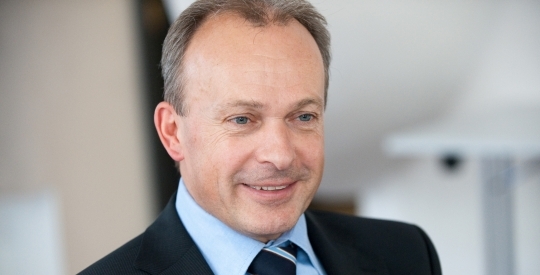 Swiss incumbent operator Swisscom has appointed Urs Schaeppi as CEO. Schaeppi has been acting CEO since July 23, following the death of former CEO Carsten Schloter. He has been at the firm for 15 years and has previously held roles as head of Swisscom (Switzerland) and head of corporate business. Schaeppi said that Swisscom, which is majority owned by the Swiss government, will continue to pursue its current strategy and further strengthen the core business with quality service and compelling offerings on an improved network. “We see opportunities for growth in cloud solutions and related markets such as home networking and eHealth,” he added. He will also focus on further developing the company’s activities in the business customer market and exploiting the opportunities offered by increasing digitisation. The firm also said that in order for it to offer cloud-based solutions more quickly it will bundle its corporate business and IT services activities. From 1 January 2014, all corporate customers will be served by the new Enterprise Customers division, which Swisscom said will become one of Switzerland’s largest integrated ICT providers for corporate customers.